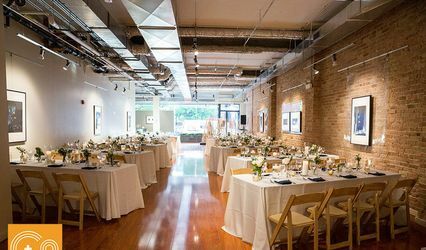 The National Hellenic Museum a museum in the Chicago, Illinois area - hosts weddings for couples seeking a modern downtown venue. 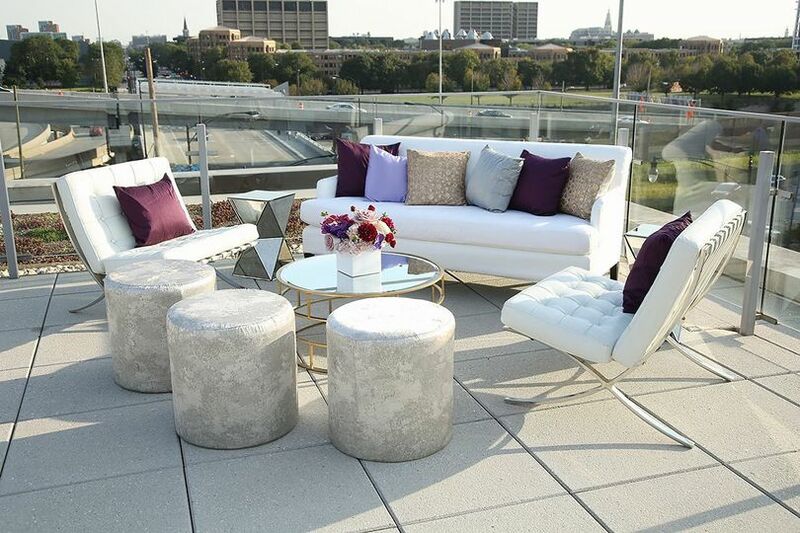 This space’s contemporary style and skyline views wow couples and guests alike. 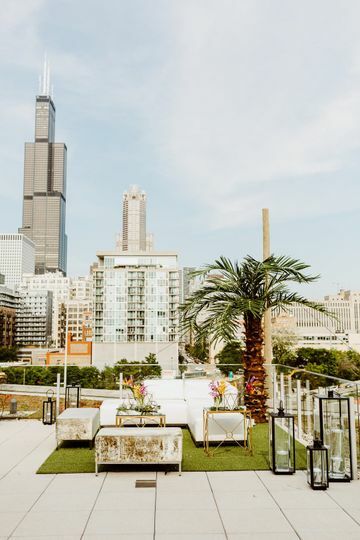 Located just minutes from the University of Illinois at Chicago, this venue’s metropolitan atmosphere lends an upscale air to any event. 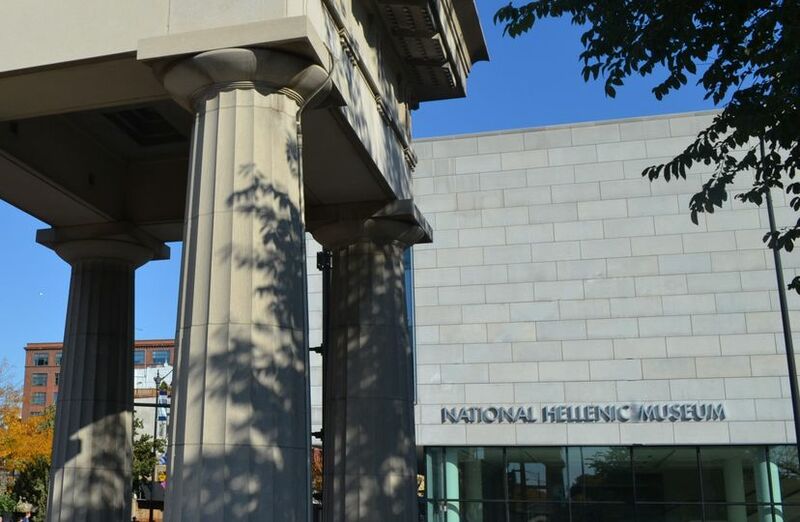 Couples can invite up to 225 guests to join them at the National Hellenic Museum. 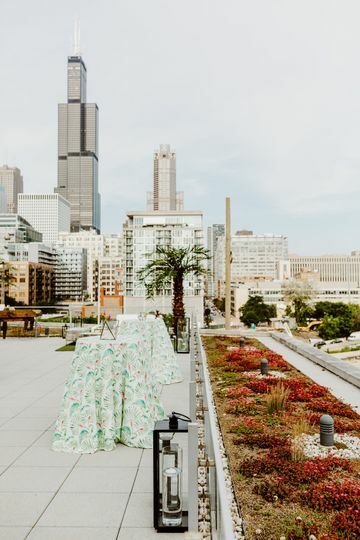 The building’s large Rooftop Terrace features three gardens and an expansive view of Greektown and the Chicago skyline. 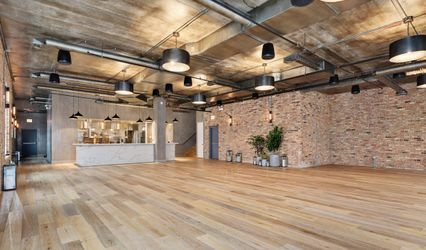 This terrace can be used for ceremonies or cocktail hours as a natural outdoor space in the concrete jungle. Inside the museum, couples can make use of the large John P. Calamos, Sr. Great Hall. This white canvas room can be used brightly or dimly lit, or can be tinted to match the wedding’s colors with the help of uplighting. 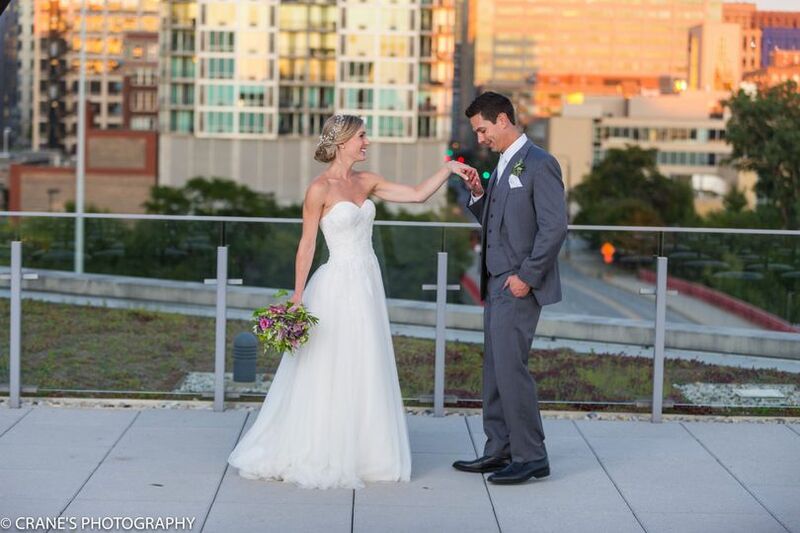 A smaller event room is also available for indoor ceremonies or smaller receptions. 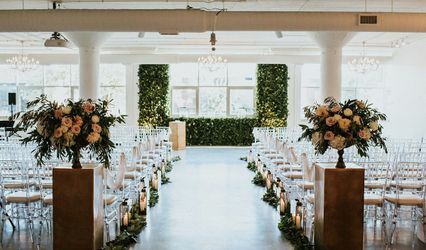 This venue is open to host bridal showers, elopements, engagement parties and rehearsal dinners in addition to ceremonies and receptions for couples. Had a wedding cocktail party there on a friday night and everything was perfect. Every employee I met was helpful and friendly. We had about 155 guests and the space was great for eating, mingling and dancing. With 3 walls of windows it never felt crowded or dark. 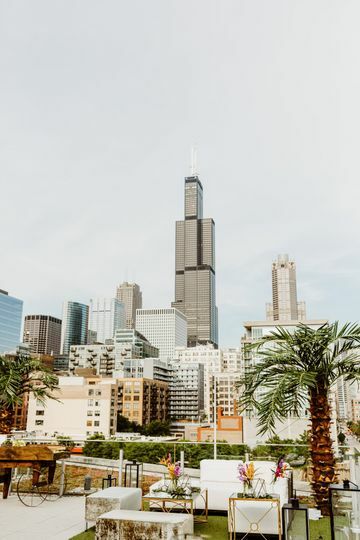 It is a really special place to have an event in the city. My wedding was on 6-9-18 with 200 people and everything was perfect. Jenna and Tiffany were very sweet and informative. 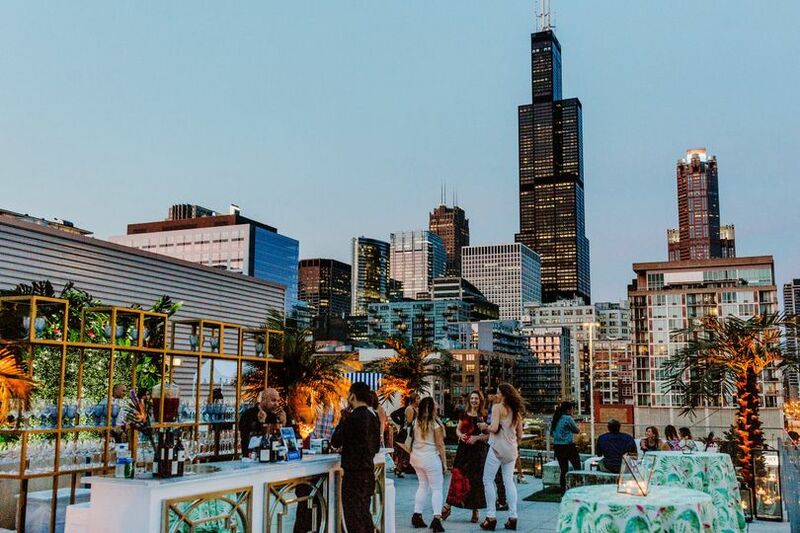 We used the rooftop for our cocktail hour and everyone loved the view of the city. 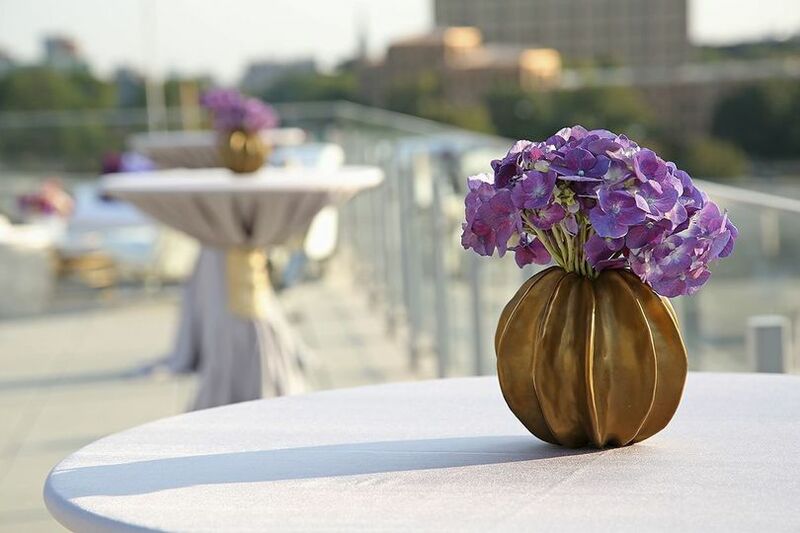 We were able to use any caterer for our dinner which was nice and were able to bring in vendors to decorate. All of our friends and family were impressed with the venue. It was absolutely beautiful. We had a wedding planner, so we didn't really have to deal with NHM directly. When we did, the staff was helpful & friendly. The venue was beautiful. 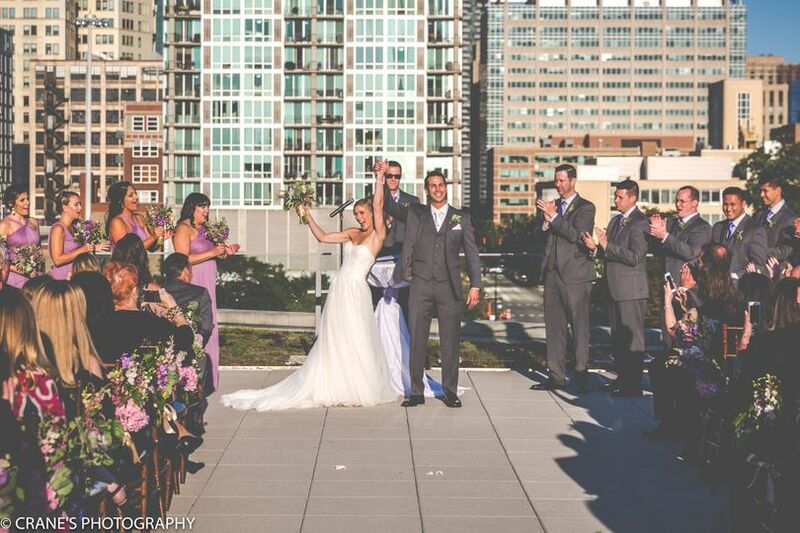 Our ceremony was on the rooftop with the skyline in the background, and our reception was elegant & modern - exactly our style. We used one room for a traditional Chinese tea ceremony and the foyer for our guest book/wedding favors.